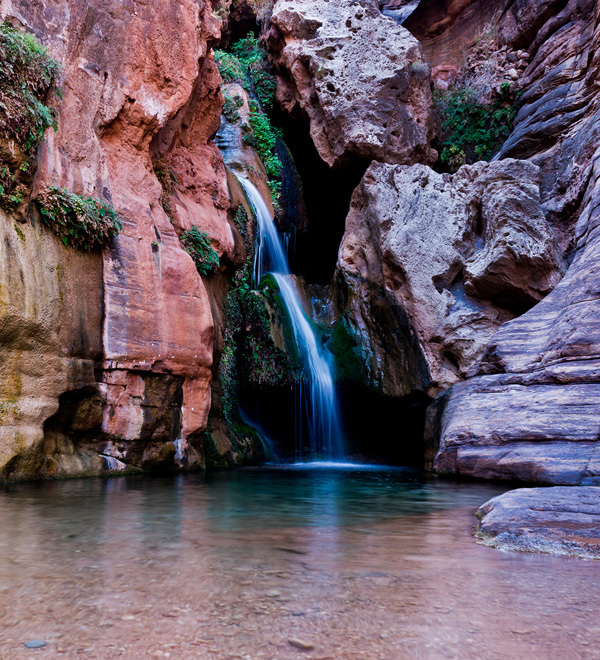 Fierce years of fighting a well-funded campaign to build Grand Canyon Escalade, a mega resort and tramway on the canyon’s east rim, have finally paid off. As for the project, Grand Canyon Escalade, this Administration has already stated it does not support the Grand Canyon Escalade project and that position has not changed….it is not in the best interest of the Navajo Nation and the Navajo people. In 2012, local residents and family members formed Save the Confluence to oppose outside developers’ plans to construct hotels and restaurants on Grand Canyon’s east rim and a tram to carry up to 10,000 tourists a day down to the confluence of the Colorado and Little Colorado rivers. This week’s inauguration of President Russell Begaye effectively ends promoters’ push for approval by the Navajo Nation. The era of Escalade advocates employed within the Navajo president’s office, is over…at least for now. At the inaugural podium, the former president presented the incoming president with a written agreement to sign in front of hundreds of witnesses. The next morning’s headlines proclaimed: “Begaye Backs Aerial Tram: The new Navajo president agrees to advance the Escalade project in the Grand Canyon.” However, neither the new president nor his staff had read the document and were “blindsided” by Escalade’s exiting advocates. Save the Confluence families and allies immediately asked the new Begaye-Nez administration to reject the agreement and to issue a definitive statement against Escalade. The commitment of people to save our beautiful sacred place is a victory for all of the Native people of the area who want this place to be kept sacred. The Confluence is one of the wonders of the Navajo Nation and we the people should be proud of such a place. To protect and preserve for generations to come. Thanks again to all those who gave their time and energy to help us with this cause, may the Great Spirit bless you in your struggles and victories...THANKS AGAIN from our hearts.. I am thrilled that the Grand Canyon will remain unmolested. A national park is not a place that developers should be allowed to alert forever. The majesty of the canyon and the sacred Navajo confluence have been saved from those who would disregard the importance of respecting the canyon and the Navajo People. I had thought this day wouldn't come. There are not enough words to express my deep gratitude to all of the people who worked so hard to save the confluence. May you be twice blessed for your courage and determination. I am extremely opposed to any commercial development, certainly within the Grand Canyon Confluence and find even the suggestion emotionally and spiritually upsetting. I am also practical and so I am worried about a signed document stating support of Escalade's plan to go forward. ***SOMETHING MUST BE ISSUED IN WRITING TO RESCIND/NEGATE THAT "AGREEMENT" ON INAUGURATION DAY! *** Has that definitively been done???? Hi Jennifer, Yes, the statement can be found here: http://savetheconfluence.com/news/press-statement-by-begaye-nez-administration-on-grand-canyon-escalade/ More info, generally: http://www.grandcanyontrust.org/blog/new-navajo-president-opposes-grand-canyon-tram Thank you for your comments!